Day/Night Confusion can last for anywhere between 1 to 8 weeks. Here are some tips to rectify this confusion sooner rather than later, so you can both get that much-needed rest. Interact with your baby when she’s awake with lots of talking. Allow your baby to nap with the lights on. Keep day noises (such as TV, talking on the phone, siblings playing, etc.) at a normal volume—if your baby can tolerate it. If she startles easily with sound, it’s ok to turn the volume down on the TV or talk softly. Get your baby used to natural light. Open the blinds and curtains, and go for walks outside if the weather permits. 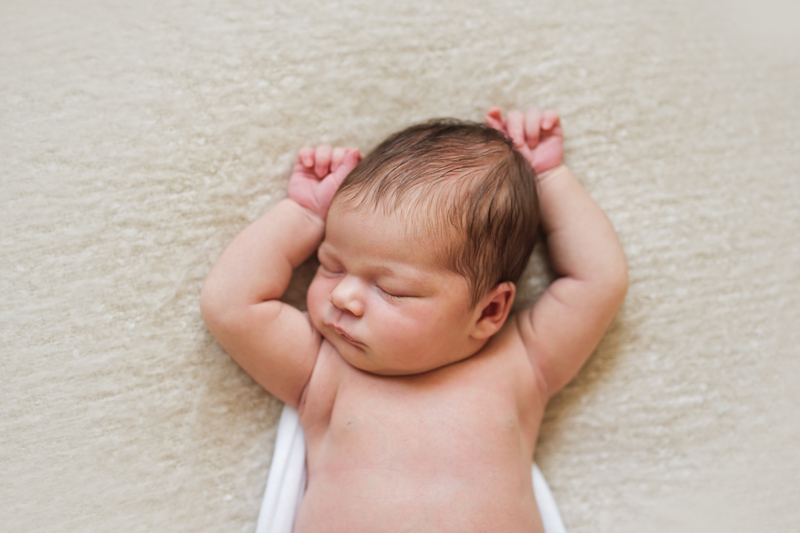 Your baby will have wakeful periods of 30, 60, or 90 minutes. Your newborn should never be awake longer than 90 minutes and likely in the first few weeks, 30-60 minutes will be the most he can tolerate. Start trying to recognize your little one’s sleepy cues and ensure she’s in a good place to get that much-needed sleep when she needs it. Develop a pre-bedtime routine. For example: give him a bath, put on some lotion, get his PJs on, do your nighttime feeding, sing a song, and then put him down for bed. Babies thrive on routine! And while a 2-week-old may not pick up on these cues just yet, it won’t be long before he realizes these repetitive actions mean it’s time to go to sleep for the night. And the routine doesn’t have to be long if that’s not what you prefer. It just has to be repetitive: night after night. Limit your use of lights at night. During your nighttime routine and pre-bedtime feedings, use very dim lighting, such as a bathroom or closet light. Be “boring” during nighttime feedings. As tempting as it may be to exchange smiles and talk to your little one at this time, it’s best to be more business-like with little social interaction during this last feeding of the day. Ensure no noises disrupt your baby’s sleep. Many parents use white noise machines to help eliminate outside noise. After two weeks, if your baby has regained his birth weight and is on track for gaining half a pound per week, there’s no need to wake baby for nighttime feedings. Allow your baby to wake on his own. Also, here’s a pro tip: babies are noisy sleepers, so be sure yours is truly awake and not just moving or making sounds in his sleep. Wait for a mad, hungry cry (otherwise known as a hangry cry) before you go to him.